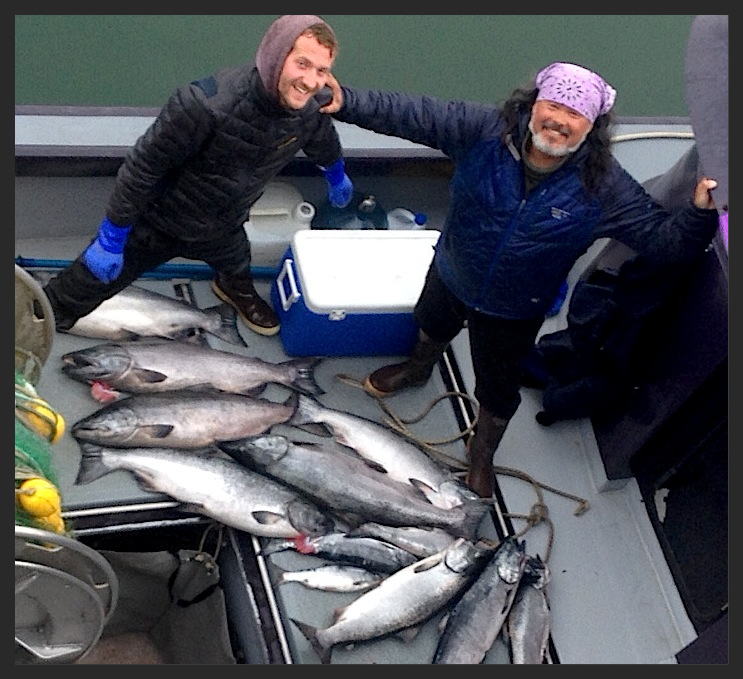 Copper River Wild Salmon Fishery - HUGE King Salmon return! The 2015 fishing season is shaping up to be an interesting year on the Copper River fishing grounds. Copper River king salmon have been returning in numbers not seen for years - the original forecast by Alaska Fish & Game was 6,000 kings. To date over 20,000 Copper River King Salmon have been harvested after reaching the required escapement to ensure the health of future runs. Get your Fish On! EPC is offering "Dune-caught" salmon by donation! Stay tuned for details in our next newsletter. If you want to place an order now, please email eyak@redzone.org for more information. We made serious progress here in Alaska by putting a huge spotlight on the Navy. Despite the best attempts, the Navy trainings in the Gulf of Alaska are happening right now, as originally planned, although at a much reduced amount from what was authorized. They are using the sonar, but they have said no bombs or missiles - in fact the live ordnance is only 3% of what was authorized. The protests and the media really helped, especially Dahr Jamail's article. Dahr was on Democracy Now the other day talking about these Navy trainings. EPC's outreach caused all of Alaska's representatives to get involved, most notably Senator Lisa Murkowski. She introduced an amendment to the National Defense Authorization Act, one of which addressed this - now the military is going to have to have meetings in communities that could be effected by trainings within 6 months of any action. In all we had 3 communities protest, the first of which was mine, Cordova, Alaska. Following was Kodiak, and then Homer. The City of Cordova and the Kodiak Island Borough Assembly have passed resolutions formally opposing the trainings, and a similar one was introduced this 6/15 in Homer. Homer pushed the vote on it until their next City Council meeting, which won't happen until after this year's trainings are finished, but it will still be an important symbol. Going forward, EPC is actively looking to collaborate with fisheries scientists. Oil & Gas Drilling in the Copper River Watershed - Comment Now! An application has been submitted to the Department of Natural Resources for Oil and Gas Exploration, with intent for resource extraction, in the Copper River Wild salmon coastal region and Fishing Grounds. This is a 1.6 million-acre area from west of Controller Bay on the Copper River Delta to Icy Bay, and covers coastal lands and waters to 3-mile seaward offshore. This area covers the prime commercial and subsistence fishing grounds for Copper River salmon. Comment before August 3rd! Bag It Cordova! EPC is handing out bags to every household in Cordova! Stop by our office today to pick up your free canvas bag! Thank you to everyone that contributed to our Indiegogo campaign!